Could you help us improve our prospectuses? 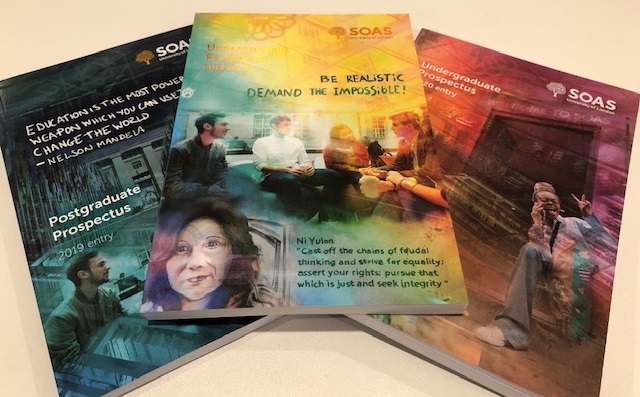 #WeAreSOAS, SOAS Blog, the latest prospectus – what do you think of the way SOAS and our students are represented? Students are at the centre of everything we do. And we want to hear your feedback in order to improve the way we present SOAS to the world. We’re recruiting a Student Advisory Panel to help us shape our messaging via prospectuses, the website, social media and more. The Panel will meet regularly to give feedback on SOAS marketing and suggest ways that it could be improved. This could include anything from the print prospectus to our latest YouTube video. Why join the Student Advisory Panel? As a member of the Student Advisory Panel, you’ll have the opportunity to give feedback on media and campaigns, ensuring SOAS’s voice is in tune with its students. You’ll help us make sure our student voice is authentic, with campaigns that represent what SOAS stands for. 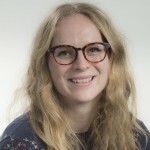 Being a member of the Student Advisory Panel will involve a time commitment of 1 – 2 hours at least once a term and at most once a fortnight, depending on demand. Following an initial meeting with the Marketing team, the panel will meet as and when feedback is required on campaigns. Members of the panel will also be able to initiate meetings if they have items for the agenda. Email Isobel at ie3@soas.ac.uk with a few sentences explaining why you would like to take part in the Panel. Please get in touch by Friday 3 May 2019 to be considered for the pilot programme.